"We would sincerely recommend The Cindy Cristiano Team to anyone wanting a smooth, pleasant & fast sale of their home. From the moment we first met with Cindy, we had confidence we were teamed up with the right Realtor for the Pearland market, and did we mention our home sold immediately because of Cindy's relationships with other agents? We also can not say enough about Christina. She takes great photos and puts together a wonderful spread on the web. She also stays in constant contact with information and updates. They are truly a Great team!" "To prospective buyers and sellers: Cindy and her staff make the process of buying/selling a home easy and stress free. They know the Pearland market better then any realtor. This is my 3rd transaction with Cindy and her staff, two purchases and one sale. I will continue to use Cindy for all of my real estate needs in the future and would recommend Cindy to any prospective buyer/seller of real estate. They go the extra mile for their clients." Silverlake SOLD in Only 2 Days! "We were very pleased with Cindy and her Team. We were kept abreast of all that was happening through the process Cindy was confident that we would sell our home in a timely fashion and we did! Our home went on the market on a Friday and was SOLD in 2 days. We were very pleased with the price we got and never thought it would sell that quickly! The beautiful pictures they took of our home were quickly put on the internet. We closed within a month-Never have we sold a home that fast. I will recommend Cindy to all my friends!" "Cindy helped me find and buy this home in 1997. She was the first person I called when I was ready to sell in 2012. Cindy and her team are great to work with and I couldn't be more pleased with the listing process and the sales transaction as a whole. The pictures were great and the internet marketing was wonderful! I credit the pictures and descriptions in large part for the short time it took to get mulitple offers. Cindy and her team were always available to answer my questions and help through it all. I highly recommend using them!" "We had been slower than most to begin the sale of our home until we had our future homesite located. When we contacted Cindy that "this time" we were ready, her team was ready as well. They had pictures and write-ups that captured the value of our home and amenities to a "T". We SOLD in less than two weeks! Awesome ladies!!" "Cindy & her office staff are professional, knowledgable & very friendly. Cindy does her research on your property and helps you make the right decisions. Christina is a joy to work with & keeps updating you on the events throughout your transaction. 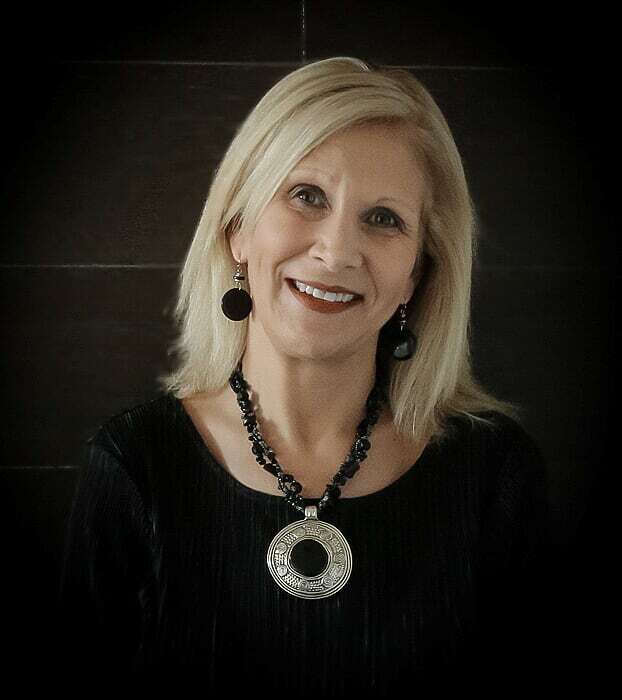 I would strongly recommend The CIndy Cristiano Team for your real estate needs." "I can't begin to express how grateful I am for everything you did to help me sell my house. Your work went above and beyond my expectations. Since I was in Oklahoma most of the time, I would not have been able to get everything ready without the help of you and your staff. It was a pleasure working with you. I will gladly recommend you to any of my Pearland friends who might need a realtor in the future! Thanks again for everything." "Cindy, Christina, and Allison did a wonderful, thorough and knowledgeable job on the sale of our Pearland home. We had complete confidence in there ability, knowledge, and most importantly their integrity. Thank You!" "Cindy Helped us with the purchase of our home in 1996 and when we were ready to sell it, she was there for us again. Our home was sold in five days. We never had a doubt that Cindy would not be able to sell our home. Thanks to her and Christina for all their hard work and support. We would recommend Cindy to anyone I know buying or selling a home. Her knowledge and professionalism are a great asset and her staff is great." "I would recommend this RE/MAX agency to anyone who is interested in buying and selling a home. Even though I was from out of State, they made the home search and subsequent purchase as "painless" as possible and I found just the right home for me. I felt that not only was my agent efficient but she really cares." "Cindy's agressive marketing network & local reputation were undeniably a factor in our choosing her as our Realtor. The photos for her many internet sites were very good, as you see alot of poor photos on MLS, ours stood out from the crowd. Cindy's design service was also very helpful, the stager gave us great advice which I am certain helped us sell our home in record time!" "It was a pleasure to work with Cindy's office. They helped us in every step of the process & were always available. They have a lot of experience & really know how to handle different situations. Having Cindy as our Realtor was the BEST decision we made!" "All members of Cindy's office were friendly & professional. Allison listened & understood my needs, preferences in locating a home. Cindy and her staff were always prompt in returning my calls & answering any questions. I would highly recommend her office to family & friends." "We used Cindy and Allison both for the purchase of our new home and selling of our old. We appreciate their help." "I would not hesitate to recommend Cindy or RE/MAX Top Realty to relatives or friends in the sale of their home." "We were completely satisfied with the real estate selling services provided by Cindy Cristiano and her capable team. Right from the tiniest detail in the flyers to the marketing strategy, the plan was executed in a very good fashion thus bringing in numerous interested parties. In spite of a slowdown in the real estate market and fierce competition from tens if not hundreds of other properties, Cindy and her team were able to bring many interested parties and help us meet our selling target. During the closing process, her team provided invaluable and timely support to get to a very successful and stress-free long distance close. We would recommend anyone wanting to sell their home to consider Cindy as their top choice." "Our house sold in 20 days! We had showings the very first day the sign was put in our yard. If we had any questions or concerns, Cindy and her staff were always friendly and helpful." "We can't say enough good things about Cindy and Christina! Cindy helped us purchase our first home 10 years ago and guided us through the process seamlessly. As first-time homebuyers, we relied on her advice and expertise. Now, 10 years later, she has once again helped us get into our ideal home quickly and with no hassles. She's also helping us sell that first home - her advice has been priceless! Thanks!" "Cindy Cristiano and her team at RE/MAX did an excellent job of helping us to sell our house. We would recommend them to anyone at any time." "Cindy and her Team are simply THE BEST! You can entrust them with buying, selling or BOTH and your best interests will always be their priority. Cindy, Christina and Allison can make miracles happen and dreams come true." "I give Cindy Cristiano and her office the higest recommendation. From start to finish of the process of selling our home, they were wonderful. At each step of the way Cindy & Christina took all the time needed to explain each part of the process. Her knowledge of the local market was exceptional. The "Staging" process, I think, was key and it was all included. Could not have been better! Thanks!" "I would highly recommend Cindy to sell or help you buy a home. Her strategic plan to sell our home included her skills in staging the home, clear knowledge & understanding of market conditions to make our home marketable & attractive to future buyers. She offered a stager who helped us organize & prepare our home. Her plan also included our home being present on many different internet sites. She was patient with all our questions and offered us advice in each aspect of negotiations & options presented to us." "The entire team, Cindy, Christina, and Allison - did an excellent job. My first experience with selling my home was stressful and Cindy's advice/guidance through this process was reassuring. My home was attended to promptly. I am very pleased! I plan to contact this office in approximately one year to assist with another purchase. Thanks to everyone!" "Cindy and her team are awesome! It's great to know your home is in good hands when Cindy is your agent! Cindy has the experience needed to sell your home - even during a "recession"! She has what it takes along with her team to get the job done! Christina doesn't let anything "slip through the cracks" and stays on top of all the paperwork so you can rest assured everything is getting done! Thanks Cindy and your team for all your HARD work! Thank you for selling out home!" "Thanks again for aiding us in selling our home. Action was taken immediately and house went on market ASAP and sold quickly. Our phone calls were quickly answered and necessary steps taken quickly as well. Thanks, Allison, Christina and Cindy for assissting us once again!"